Don’t want to wait until Saturday to buy your fresh produce at the downtown farmers market? Alas, there are more than one. No need to stop at the supermarket for produce just because it’s a Tuesday! (And there’s free yoga and a beer garden at the Tuesday Harvest Market too. Bonus!) 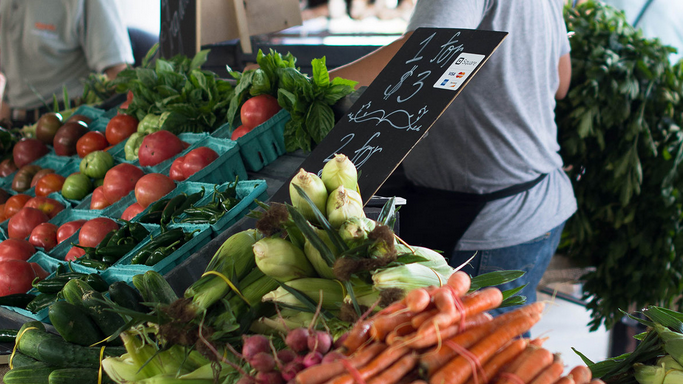 Enjoy these farmers markets through October. The Downtown Farmers Market also has many local bands lined up for each market through the fall. Catch Hectic Hobo, Modern Divide, The Steel Belts, Float the Boat and more. For a full list of bands, click here.